I love reading - as you've probably noticed. My son Cory loves to read. My daughter Beth? She'll read when she absolutely has to - or when she finds something that interests her. She can do it; she just doesn't love it. Read your child stories. And make reading aloud part of your daily ritual, even after a child can do it on her own. Encourage your child to ask questions about the book you're reading, and ask them yourself. "What do you think will happen now? Why was the girl so sad?" When your child reads to you, be patient, listen attentively and don't correct too often. Keep new reading material coming: Make regular trips to the bookstore or library. Get you child his own library card or even a magazine subscription. Expand your child's vocabulary by explaining new words you come across when you're reading together. 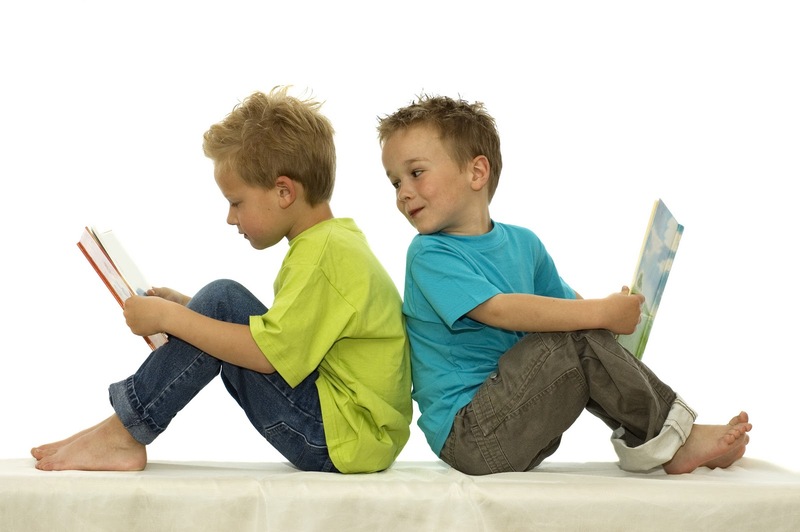 Encourage fluency by having your child read and reread familiar books. Have children practice reading to young siblings or even pets. Pick books that are at the right level, because material that's too hard can be discouraging. Be aware of what your child enjoys. If she finds she likes an author, help her find more of that author's work. Encourage her to explore subjects that interest her. Make sure there's a comfortable, quiet spot to read. Put limits on TV watching and computer use. I know Beth loved books and reading when she started school. We had been reading them since she was a little bitty thing. I learned that's not always the case when we met her kindergarten teacher before school started, and she said one of the primary goals for the year was to instill a love of books in the students. It really shocked me that there are kids going to kindergarten who have not been exposed to books at home. Maybe the parents don't read so they don't think it's important? That first tip there - Be a reader yourself - is so important. If your kids don't see you reading, they won't think it's important or that it's an enjoyable activity. Unfortunately, Jeffrey is not a reader, and Beth likes to use that as an excuse - if Daddy doesn't read, and he's OK, then it must not be that important. Even if you just sit down and read the kids' books - together, out loud, just for fun - do it! Read! I don't really remember if I continued reading aloud to my kids after they learned to read on their own, but I think that's a really good idea. I can remember some of the books we read together that would have been for older kids - Mr. Pudgins and Five Little Peppers and How They Grew to name a couple - so maybe I did. (I'm shocked to see that copies of Mr. Pudgins are selling on Amazon for around $30! I could sell ours, but we read it so many times!) The Five Little Peppers books are free for Kindle, so I'm grabbing those! Once the kids could read on their own, I would have them read to me or ask them questions about the books they were reading. Lots of times I'd read their books too, especially if they really seemed to enjoy them. I gave up trying to keep up with Cory when he got out of children's books and into full-length books. I wish I had time to read all the books he's read! I especially wanted to read the books Beth was reading, because there weren't many books that grabbed her attention, so I figured they must be really good if she wanted to read them. I still remember when her 3rd grade class was reading Harry Potter, and she disappeared when we were out roller-blading, because she just had to get back to reading the book! Believe me - I had to read that book! I was always trying to find something that would interest her - not an easy thing to do, but those Harry Potter books really got her attention! She's read all of those. And practically every book written by James Paterson! Oh, and The Twilight Saga books, which is the only reason I've read two of them and have another one on my bookshelf to read. Are your children readers? Could you or did you use some of these tips? What books do you remember reading to your kids? Are there any books I need to get so I can read them to Jason? (I'm already grabbing free children's books for my Kindle app) What else do you do to help your children develop a love of books and reading? Please share! Is It Dark in Here? Dig, Drop, Done - Can It Be That Simple?